So many things in this life get broken down, torn down, destroyed, and demolished. And while we can simplify and go without certain material goods, the bottom line is that every person in this world has basic needs. Food, water, shelter, clothing. And those are just the physical needs. Then we have mental, emotional, and spiritual needs also. We can be broken in any area of life. I’ve been praying for all these sweet people since the flash floods overtook the town last Tuesday. 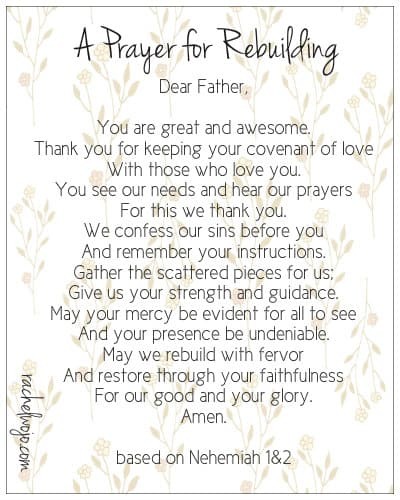 In light of my dad’s words, today I found myself praying a prayer for rebuilding. And then I realized it applies to so many of us on so many different levels. 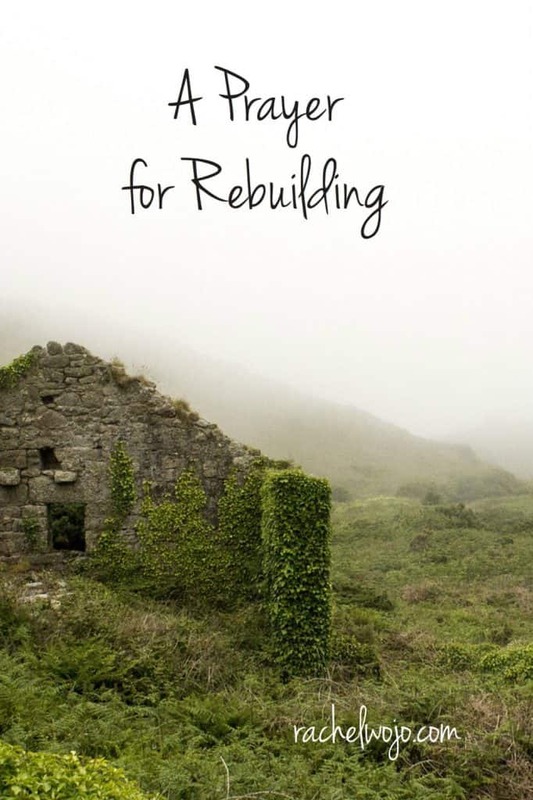 Feel free to pray A Prayer for Rebuilding as your own. You are great and awesome. With those who love you. Give us your strength and guidance. And your presence be undeniable. For our good and your glory. Bless you, Dee! God’s got it- no matter what it is. Thank you for your sweet encouragement and may the Lord renew and restore any brokenness in your life and the lives of your family. Much love in Christ to you!